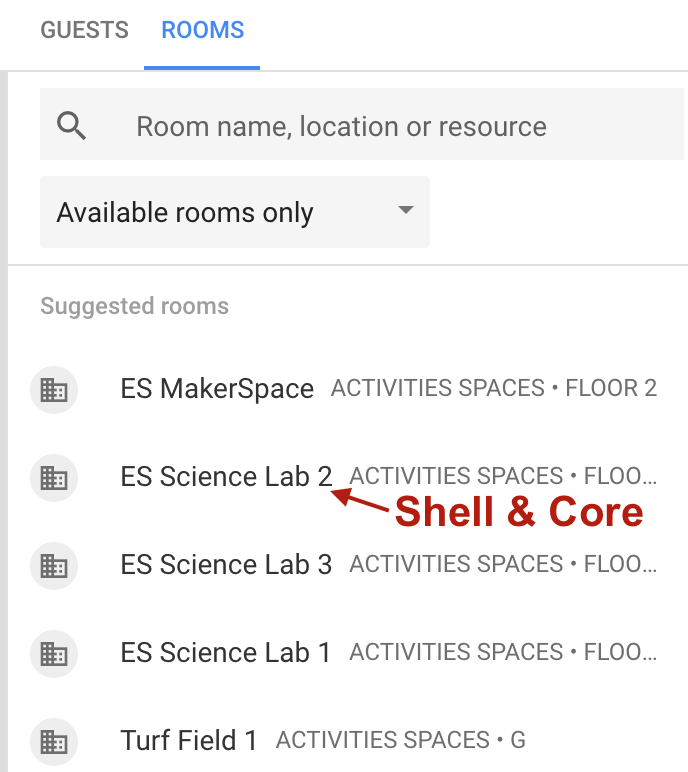 There is a new way to book the Science labs and MakerSpace. Follow these instructions and you will have the space you need booked in no time. 1. Decide on the date and time you need the space. 2. Check the calendar to make sure the space is not already booked. 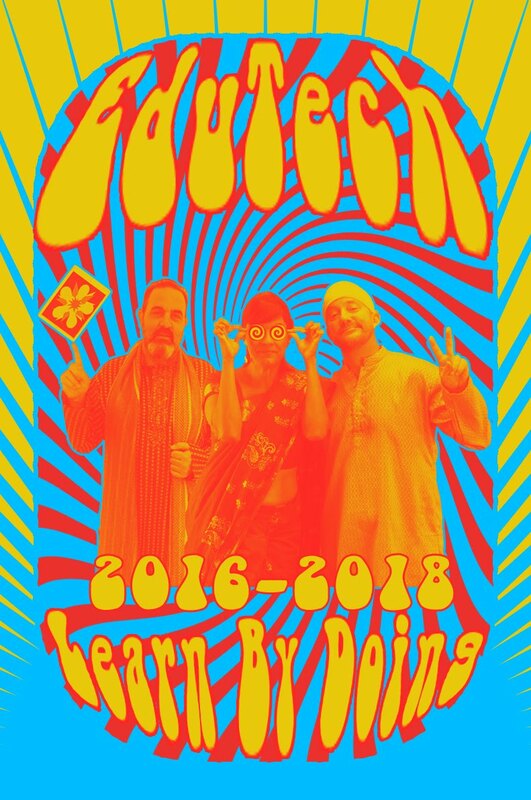 Calendars can be found at MakerSpace Schedule, Science Lab Schedules, ES Art, & Cooking Commons (or see below). *Click the + at the bottom of the calendar to add a calendar to your calendar. 3. Go to YOUR calendar. You may only book spaces for YOUR class. 4. Click in the day and time you would like to book the space. 8. 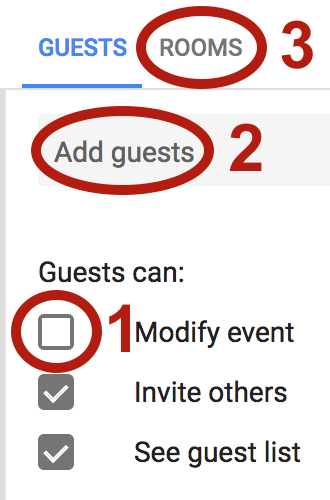 Click Add guests and add the email address that corresponds to the space. * YOUR BOOKING IS NOT COMPLETE UNTIL THE PERSON IN CHARGE OF THE SPACE CONFIRMS THE BOOKING. 10. Search for the room you want to book and select it from the list. If the room is not available, it may be booked. 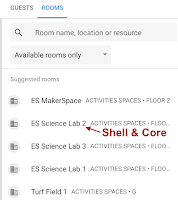 Science Lab 2 is currently Shell & Core and therefor not available. 12. Wait for confirmation from Alice, Max, or Steve. In order to facilitate communication with you, 5SK has a blog where I post weekly newsletters, class work, photos, and announcements. As parents, I would strongly recommend that you subscribe to the blog. When you are subscribed you will receive all the posts via email, and will easily be able to stay up to date. Go to the blog [link this] and add your email address to the "Follow by Email" box. Click the link to verify, and you're done! You will begin receiving my blog posts via email. You can unsubscribe any time you like by clicking the link at the bottom any email you receive from my blog. Would you like to grow professionally and extend your personal learning community? Would you like to share what you are doing in your classroom and see what others are doing? Would you like access to resources and people that are not in your region? If the answers to any of these questions is "yes," than this session is for you! 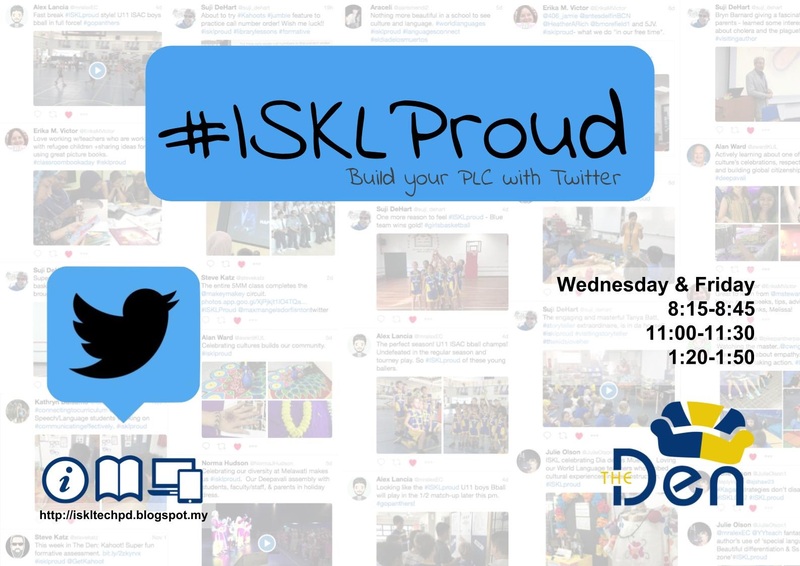 We will take you through the basics of Twitter & Tweetdeck to get you started with this very rewarding professional experience. Thank you Alex Lancia for the presentation.